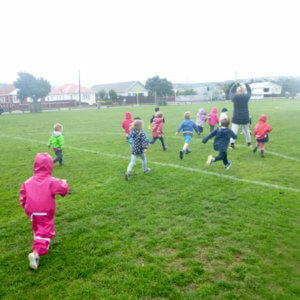 At Miramar Childcare, we value the opportunities our tamariki have to explore their surroundings and the world they live in through regular trips and meaningful excursions. Te Whariki, the New Zealand Early Childhood curriculum document states that “making connections between people, places and things in their world” (2017) through extending their links to the wider world is an important aspect of a child’s sense of mana whenua (belonging). 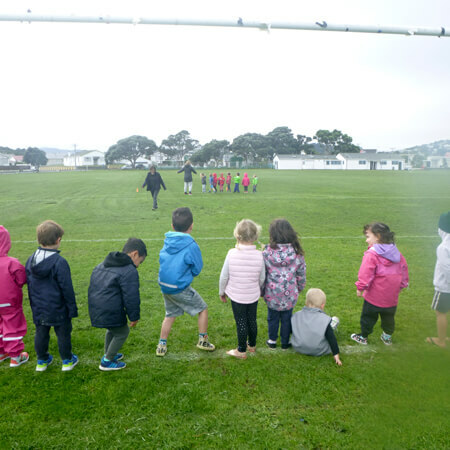 With this in mind, we organised a trip to Crawford Green on Thursday the 12th of April as a way to offer our tamariki an opportunity to experience their own Commonwealth Games. It was a wonderful opportunity to challenge their gross motor skills as well as practice sportsmanship and teamwork. 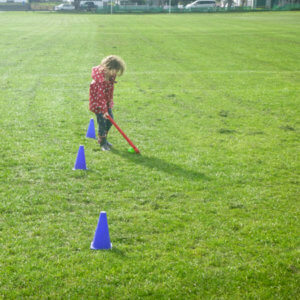 As soon as we got to the Green, the games began, starting with a rousing race! 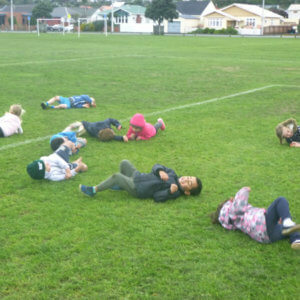 Tamariki had the opportunity to practice their listening skills and get their heart rates pumping running to Aisling and back to the start line. We experimented with an adapted version of soccer, which initially seemed to turn into a rugby game every time we said “Go!” but after a few gentle reminders to use just our feet and not our hands, they got fully into it and had a blast scoring goals. Our hand-eye coordination, focus and concentration were tested with some ball-rolling, which was only made more challenging thanks to the Wellington Wind, which was out in full force that day but our young and intrepid participants were not daunted. The games were closed with a big team “marathon” run along the edge of the pitch and the participants then enjoyed a little picnic on the Green. We all left with happy and healthy hearts, looking forward to our next adventure.